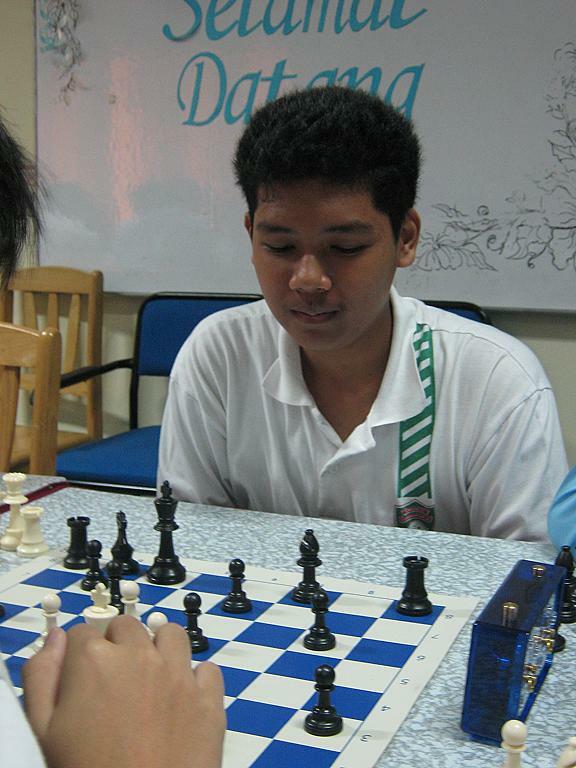 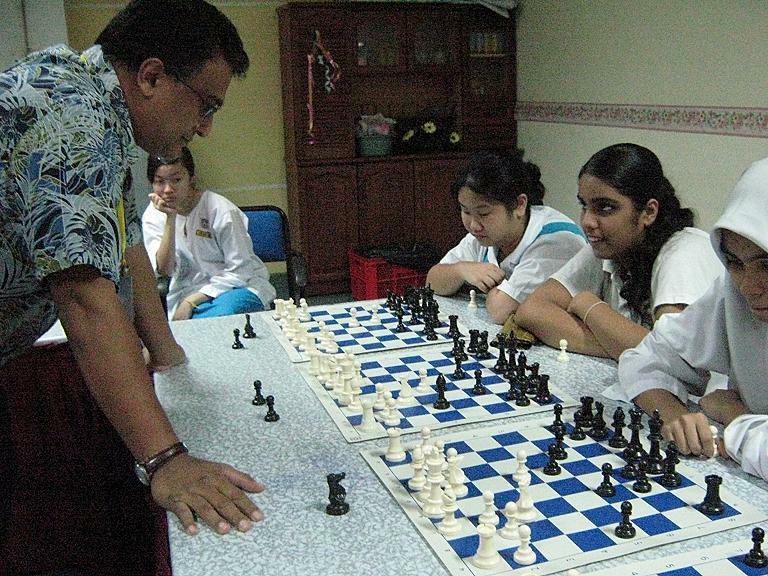 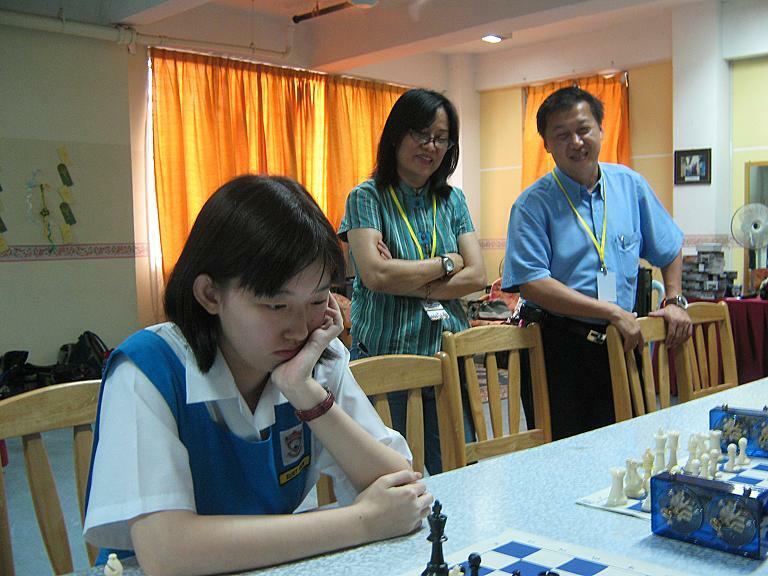 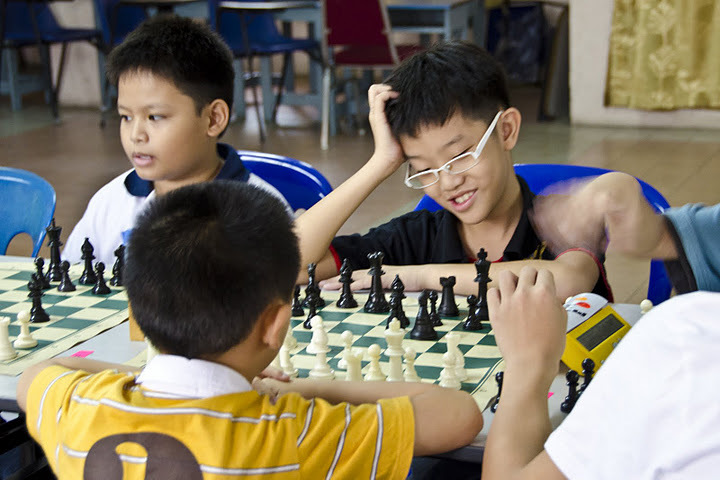 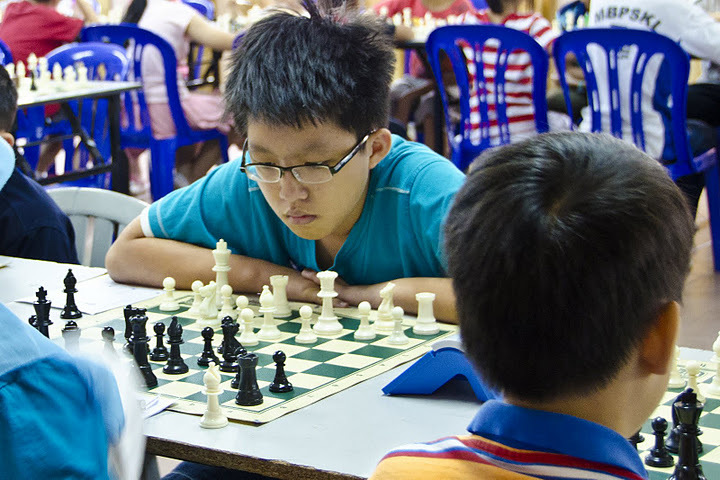 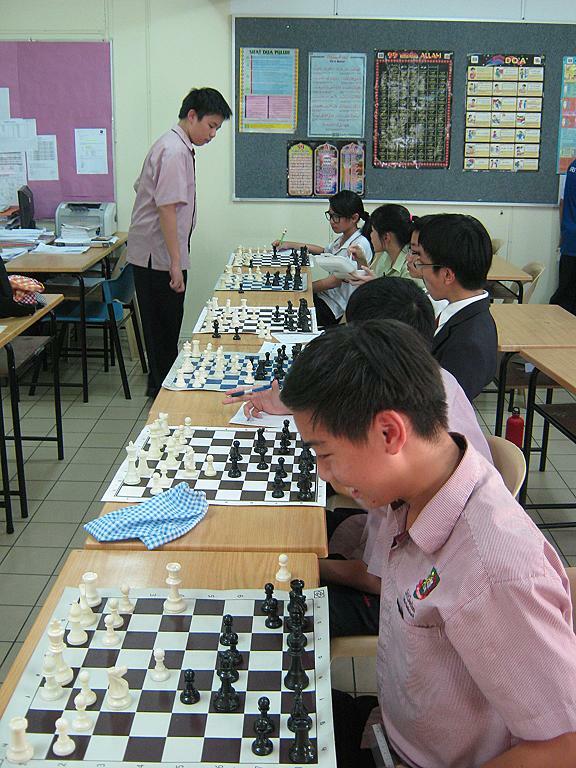 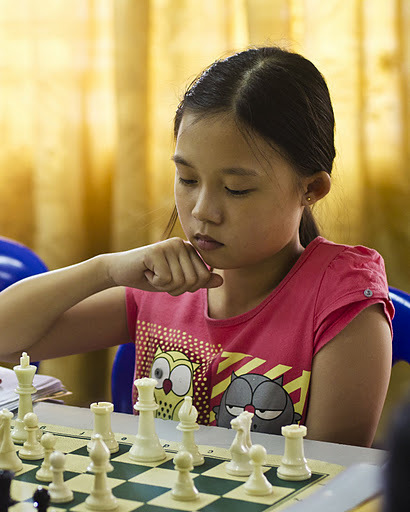 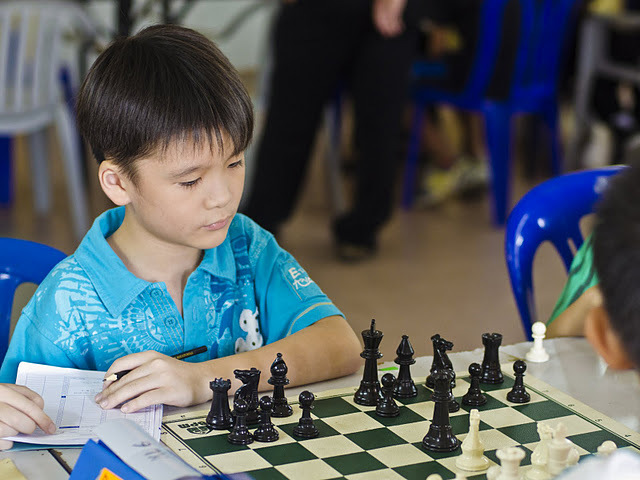 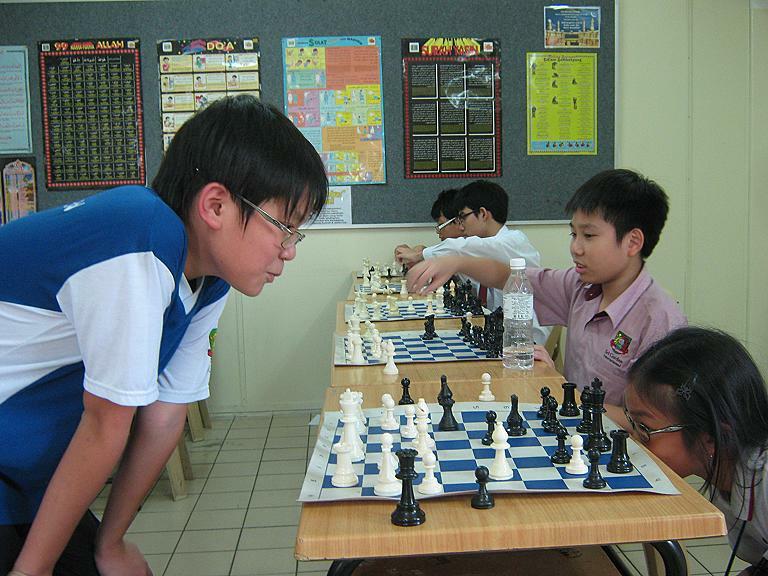 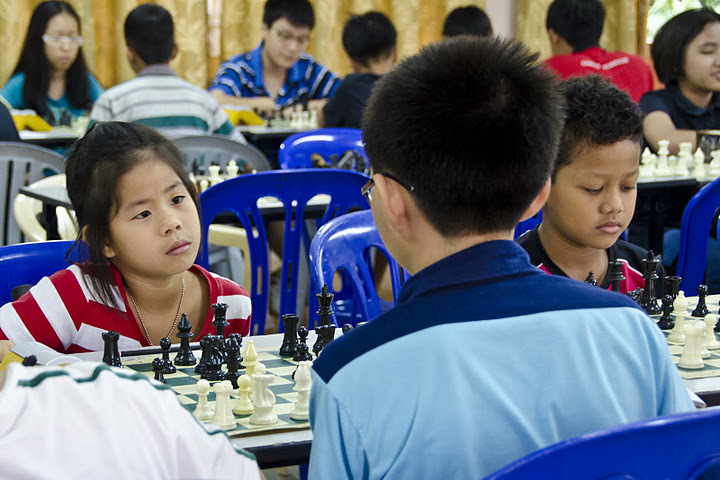 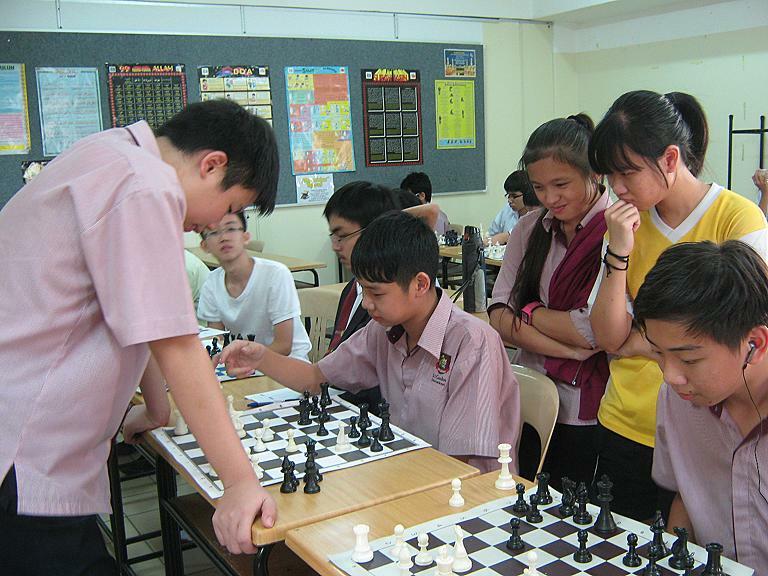 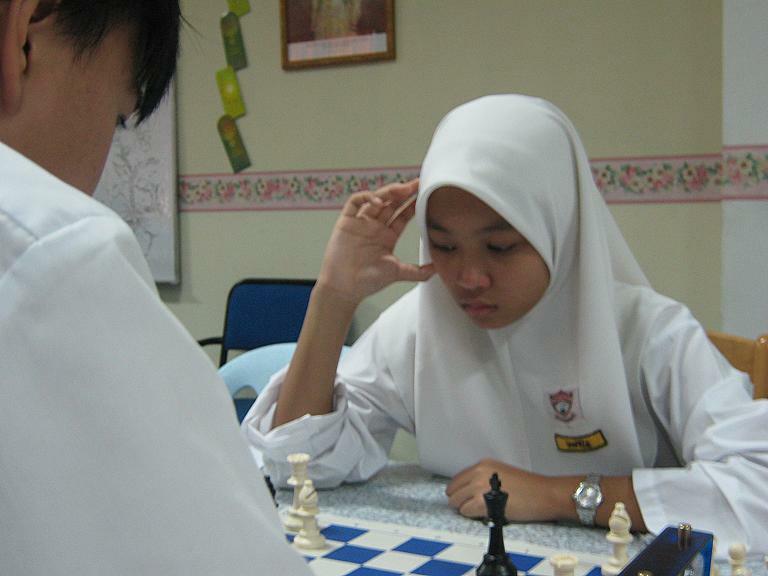 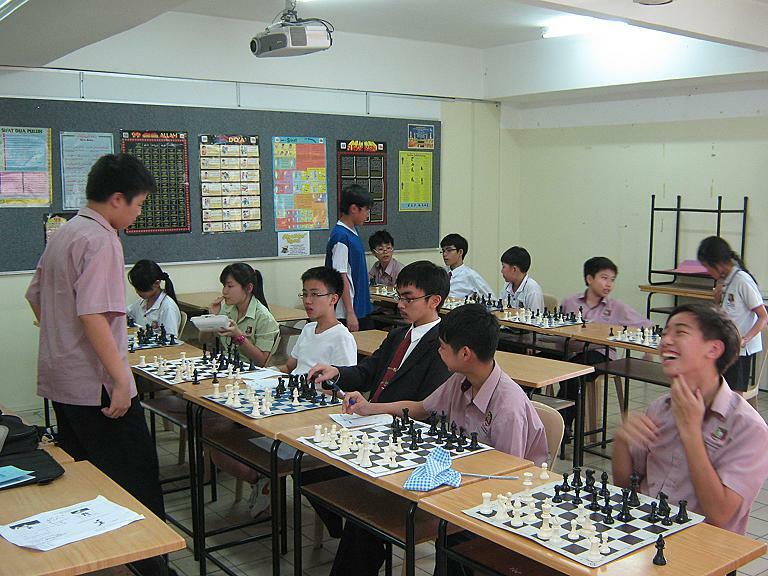 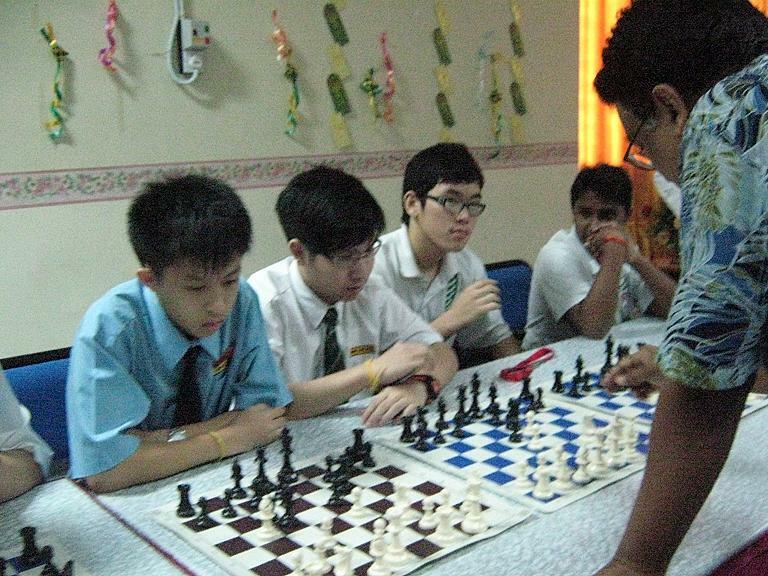 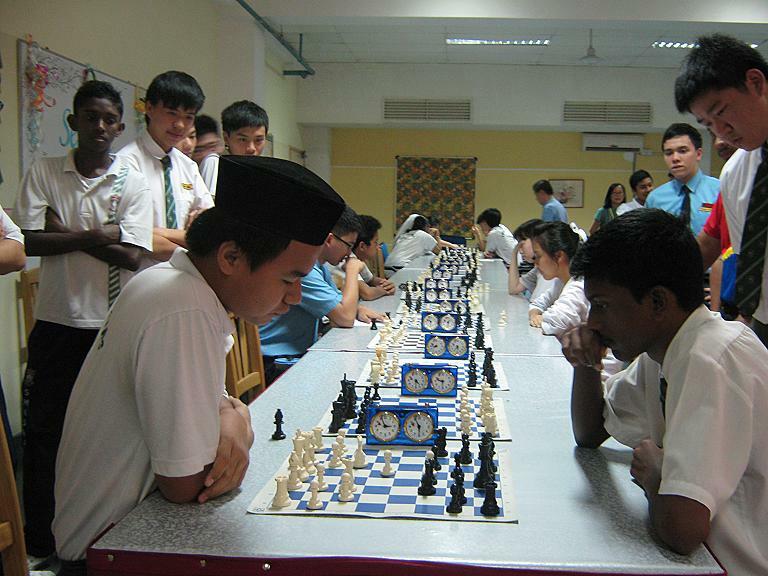 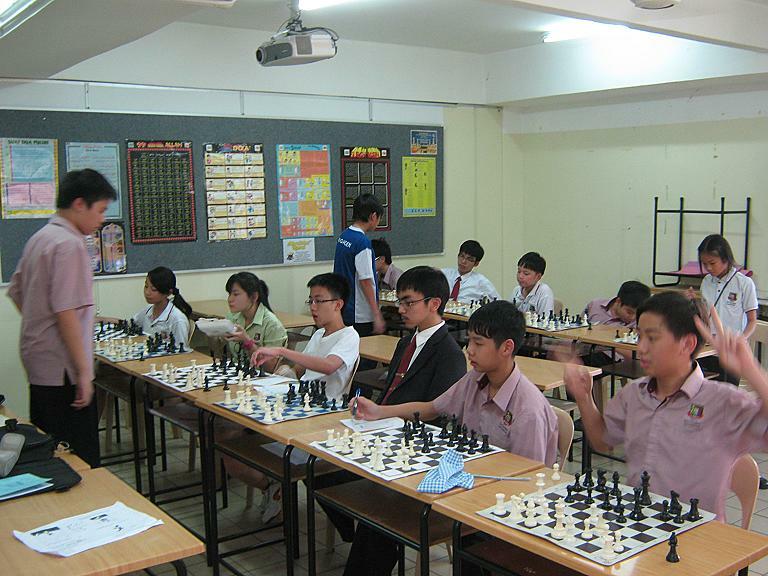 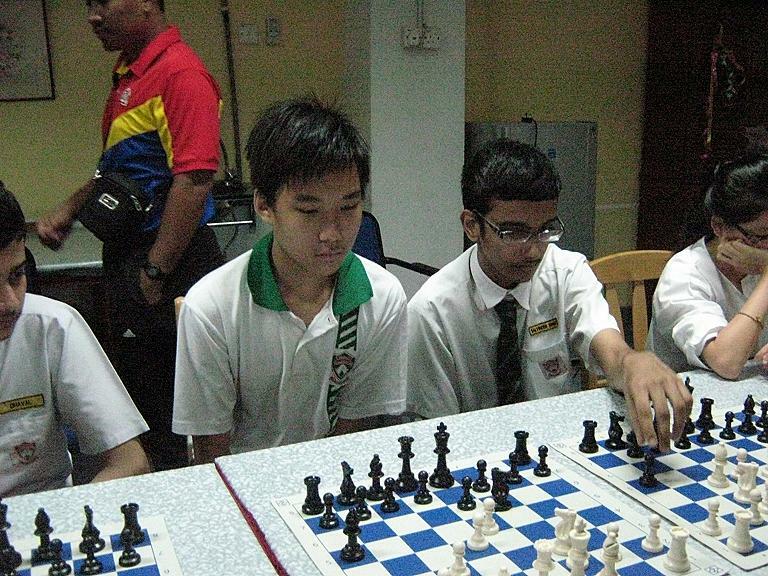 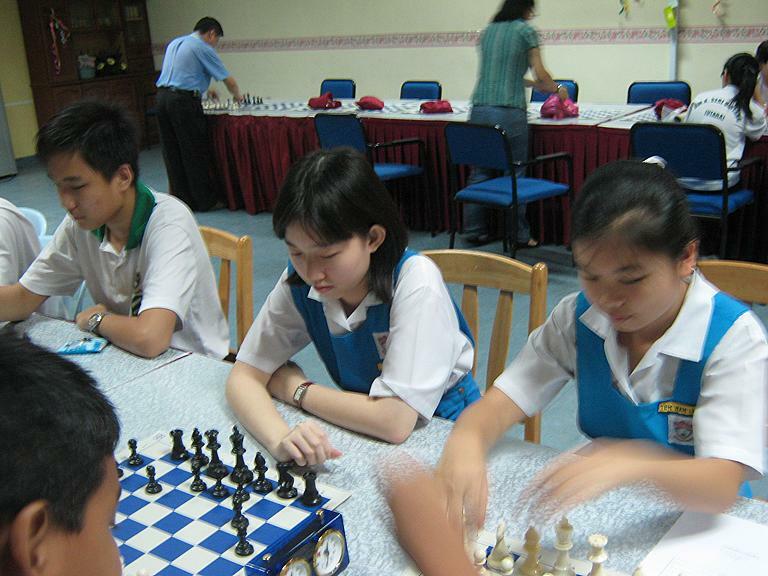 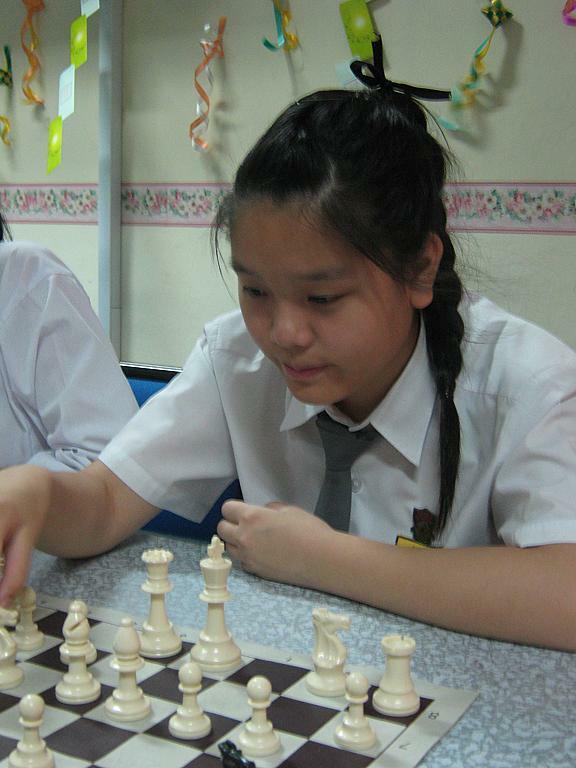 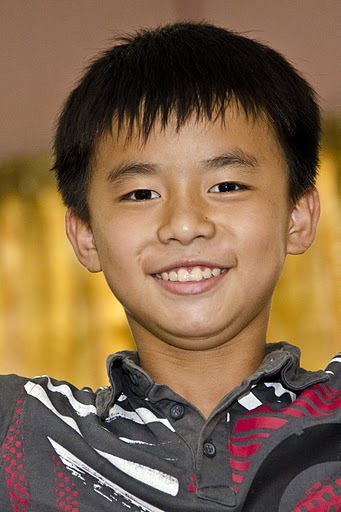 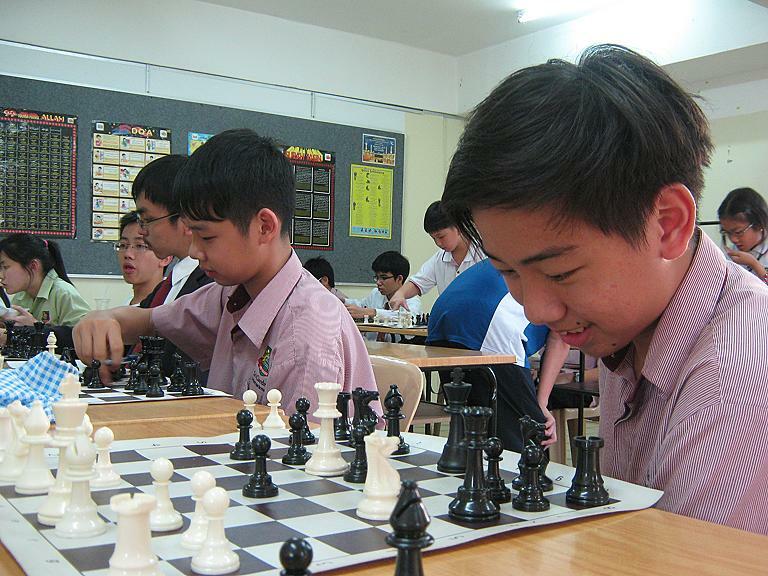 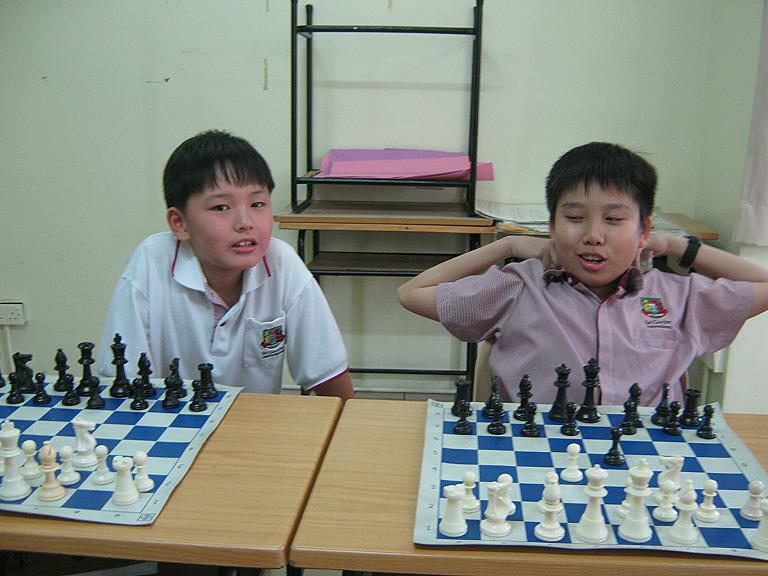 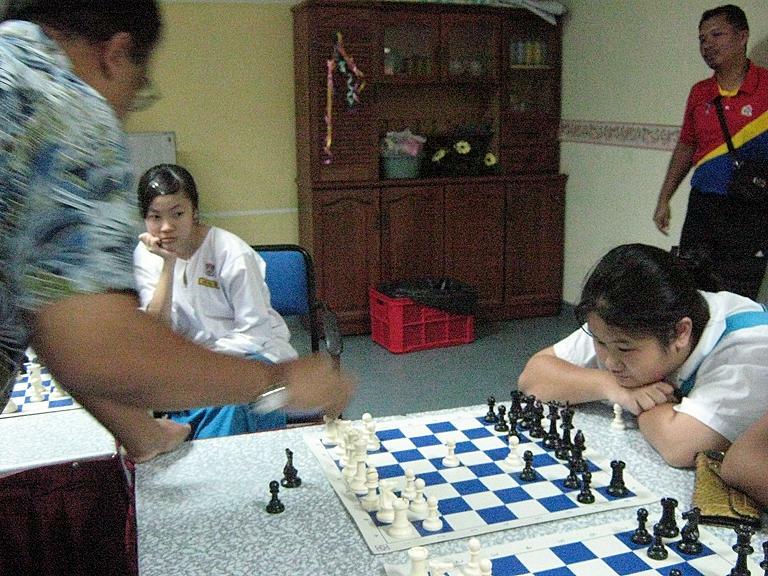 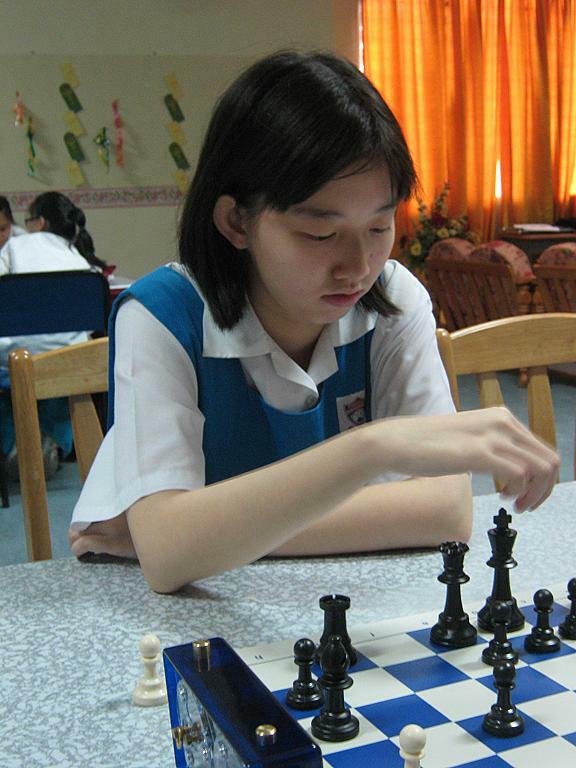 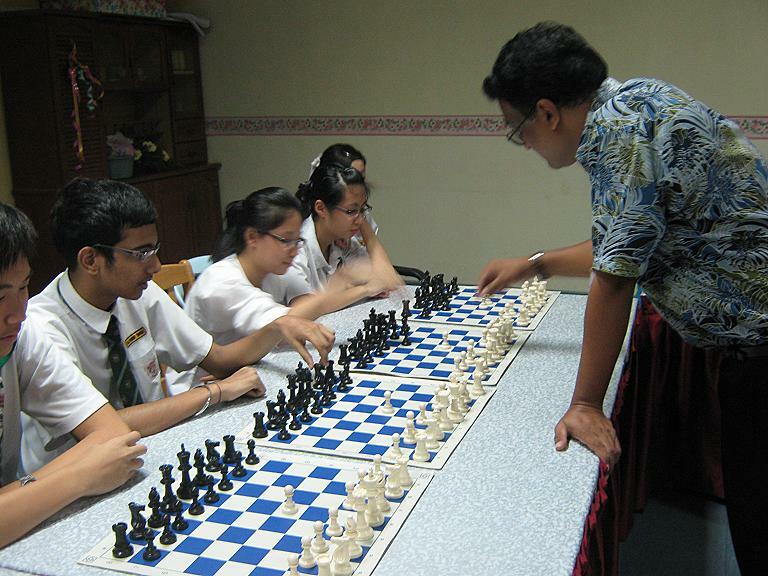 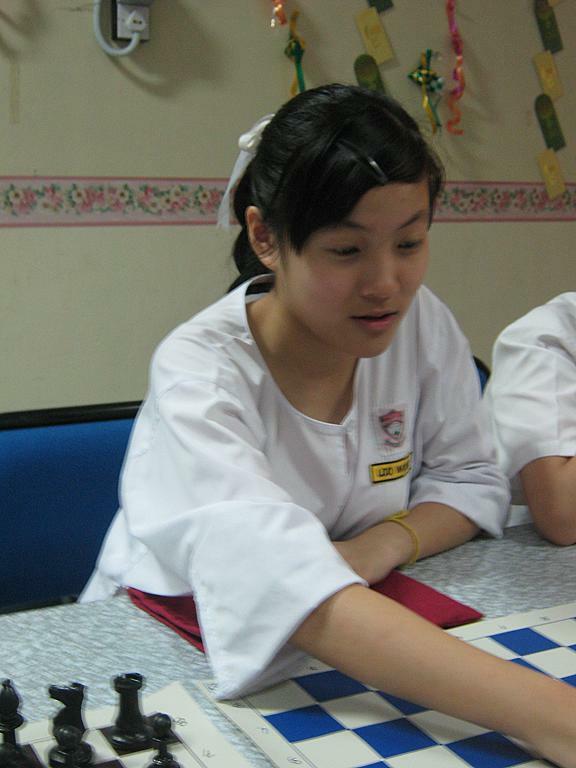 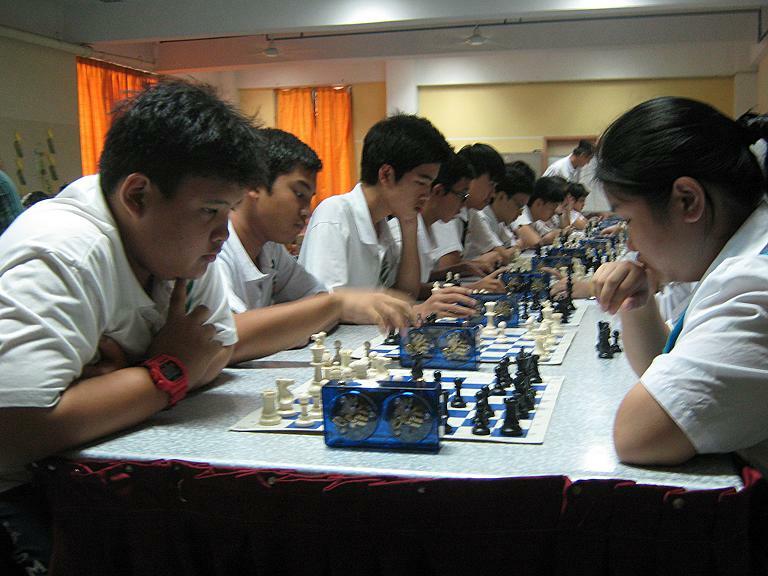 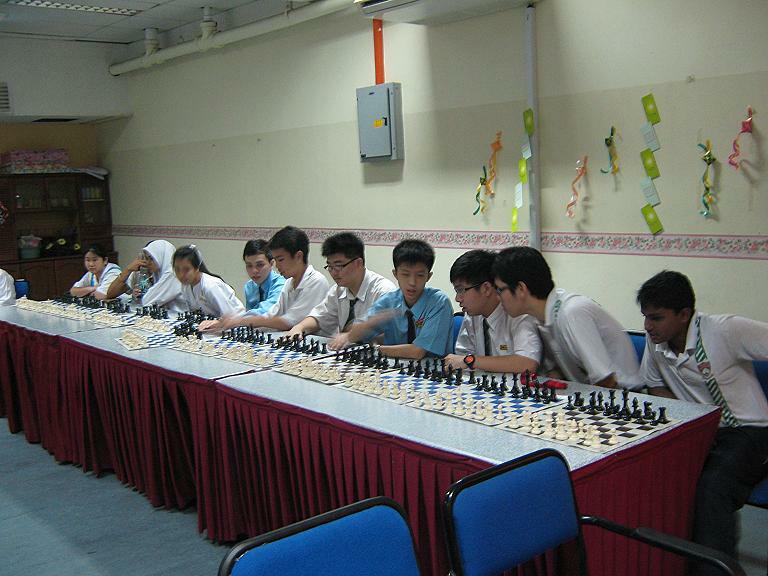 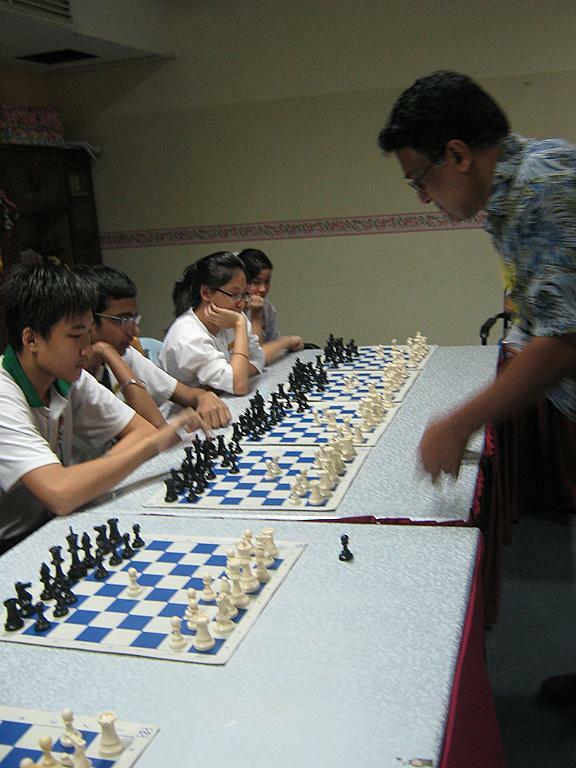 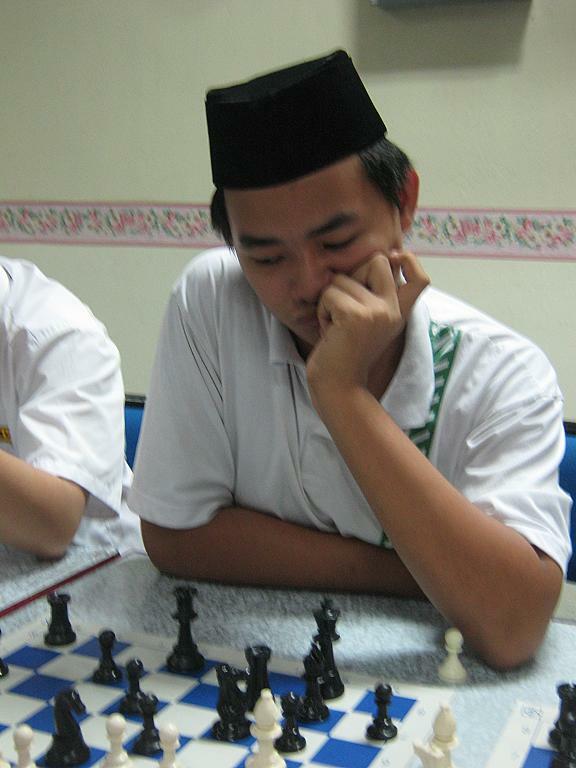 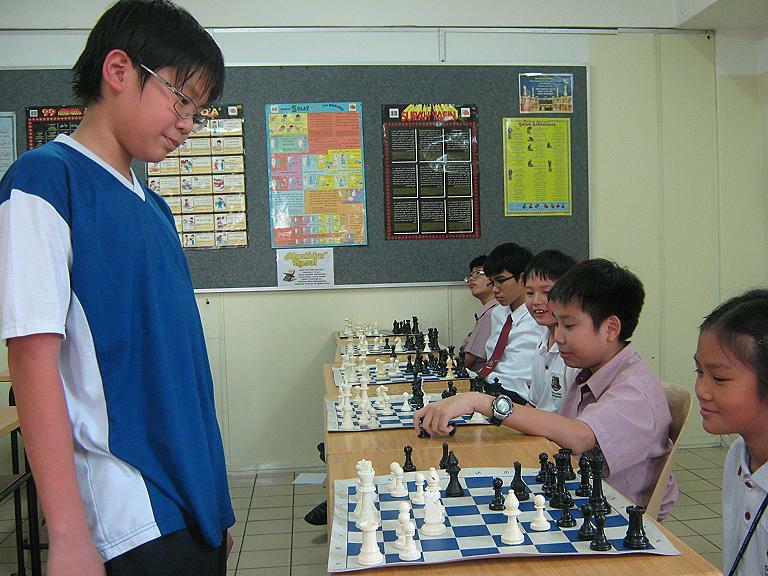 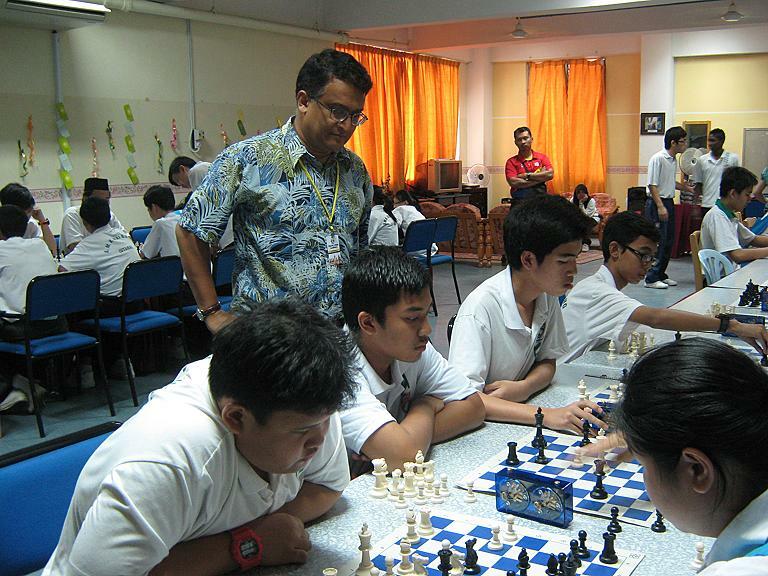 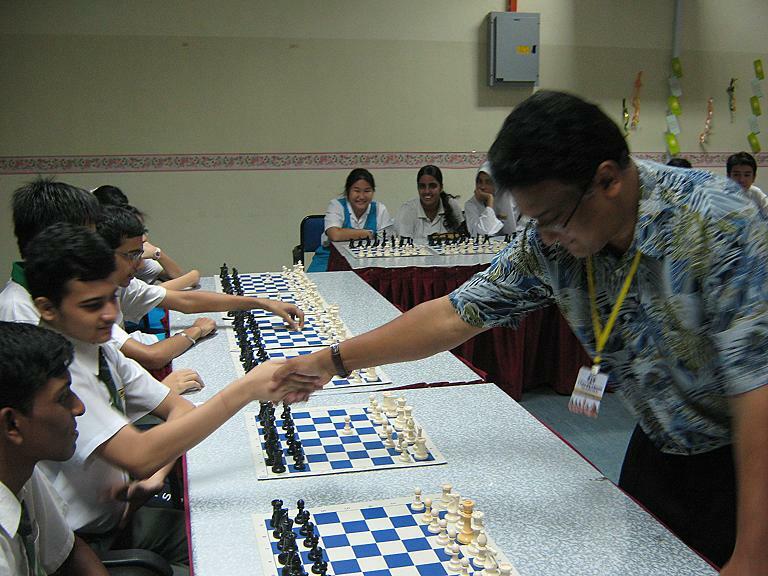 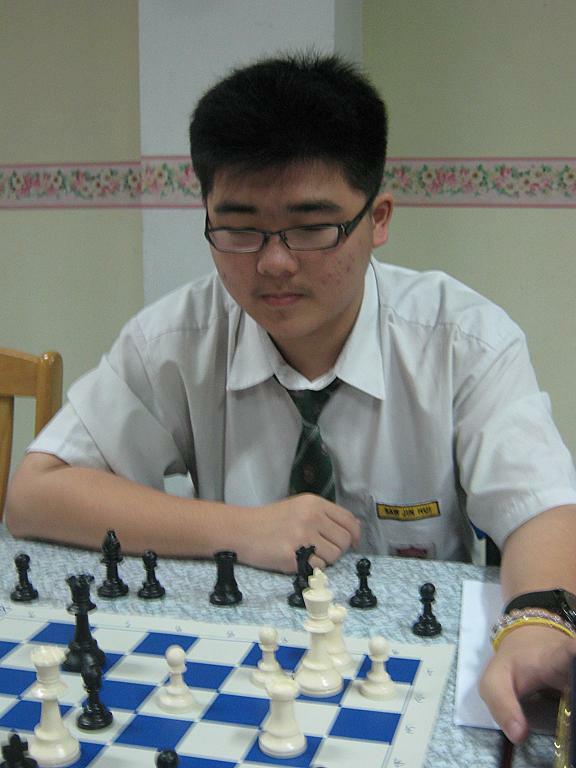 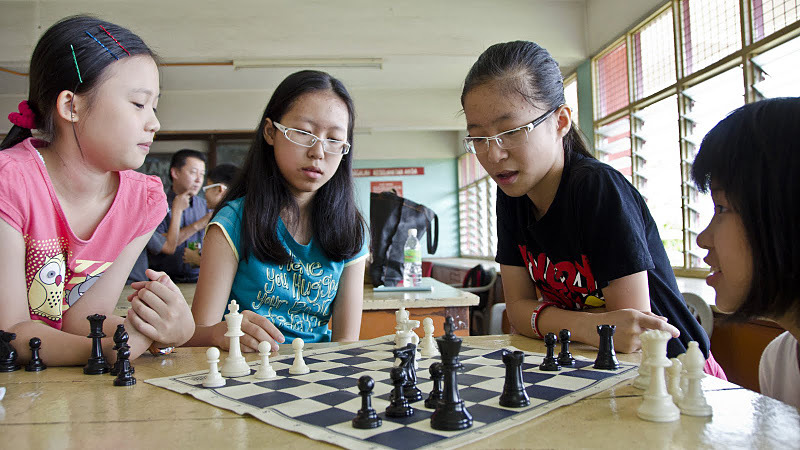 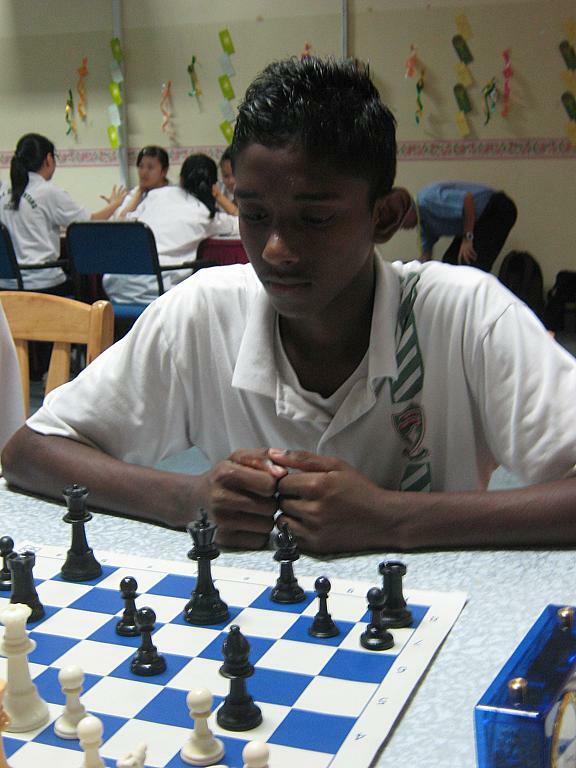 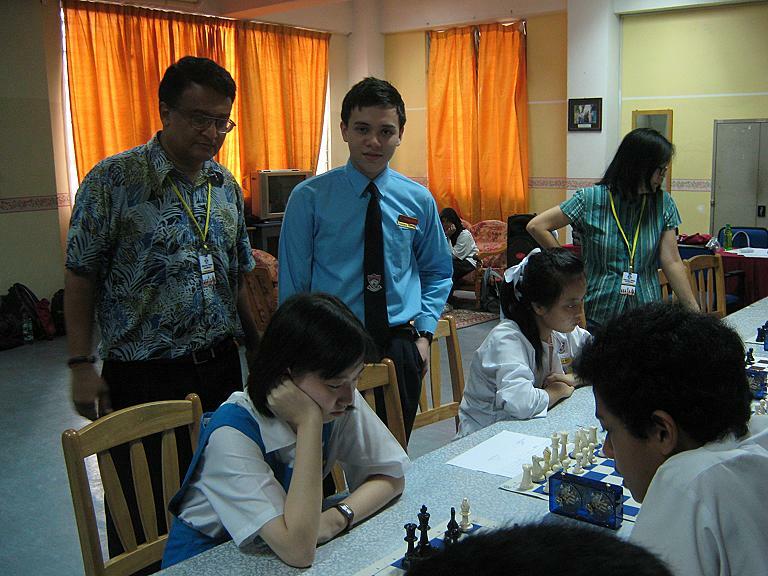 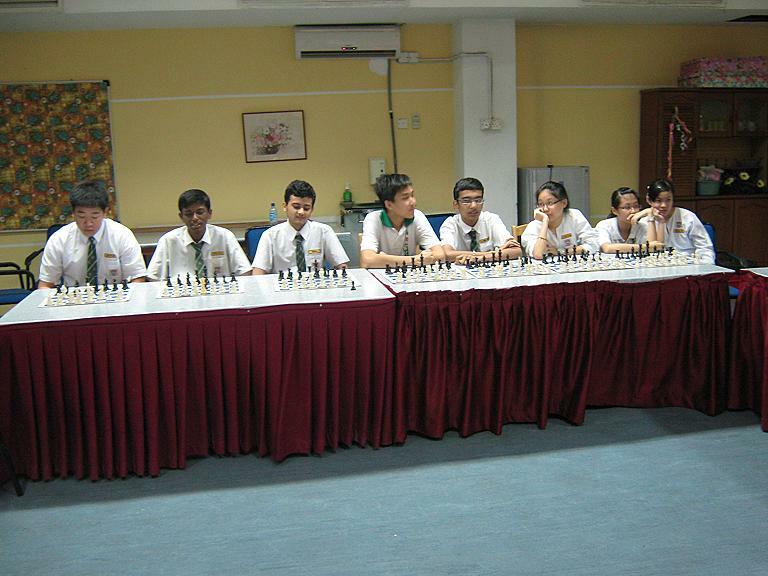 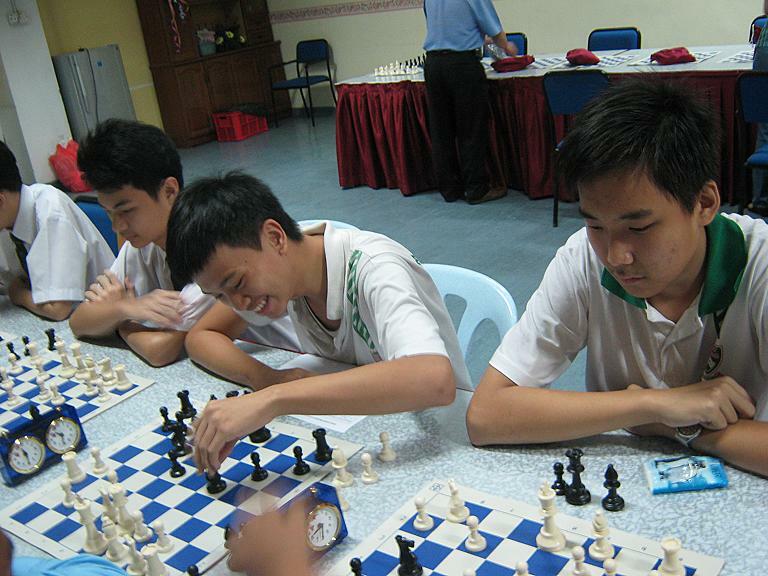 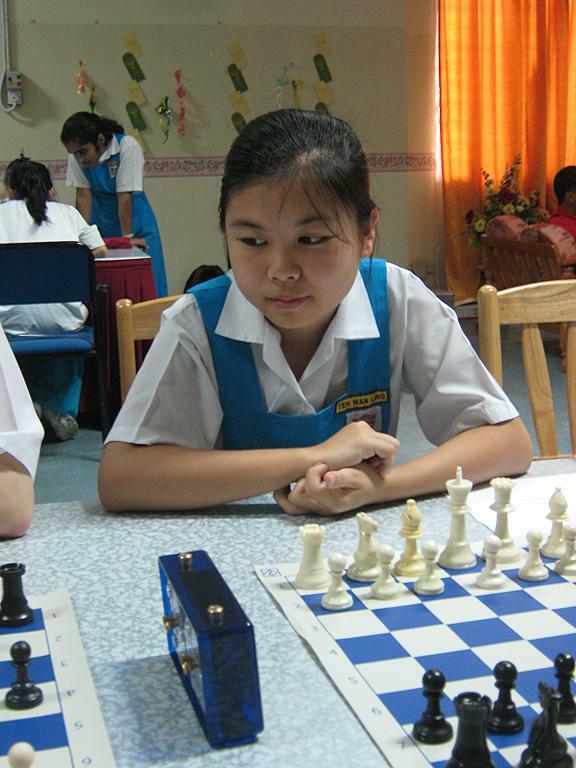 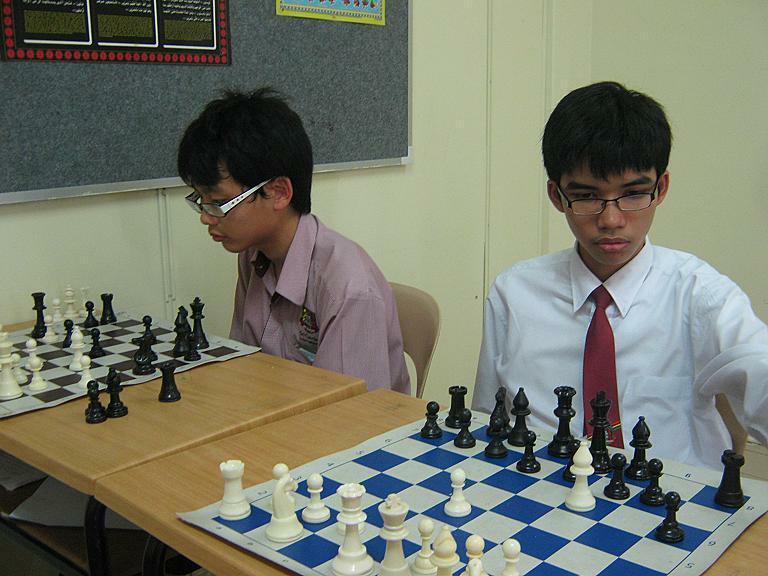 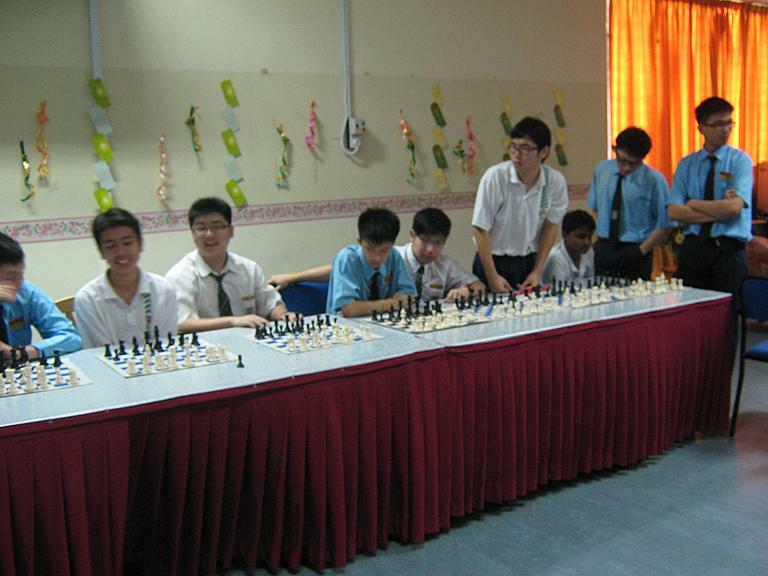 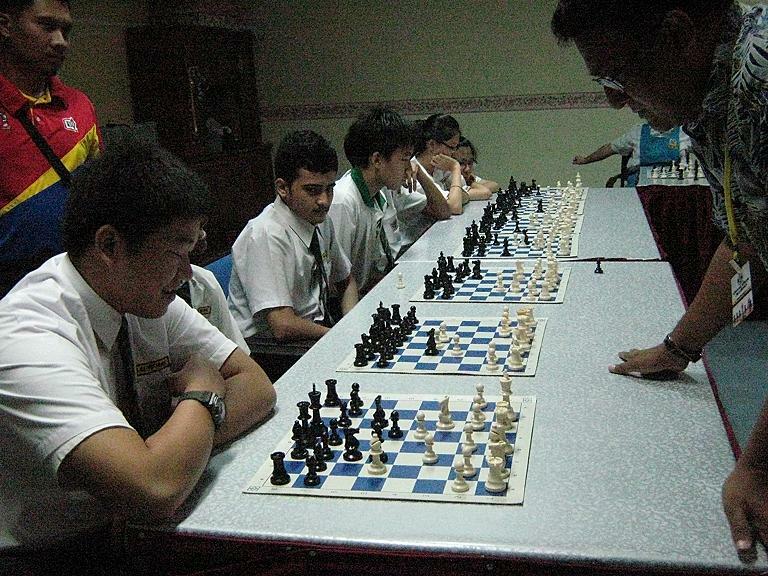 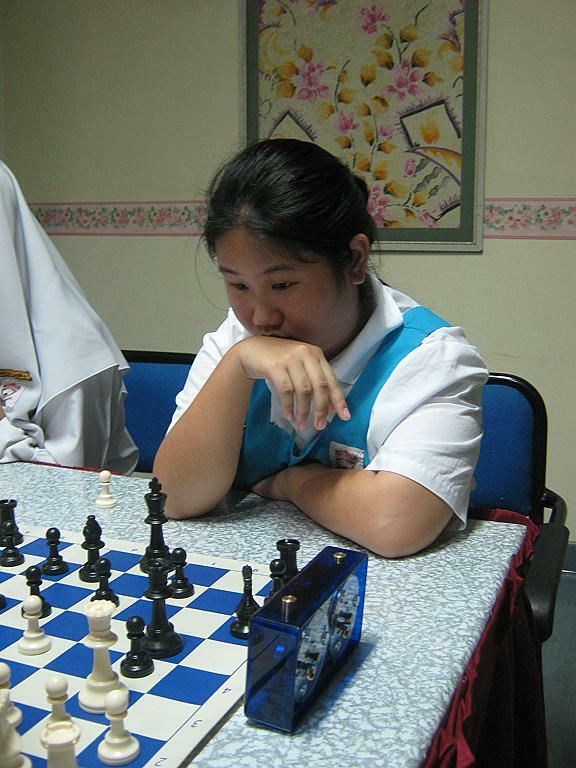 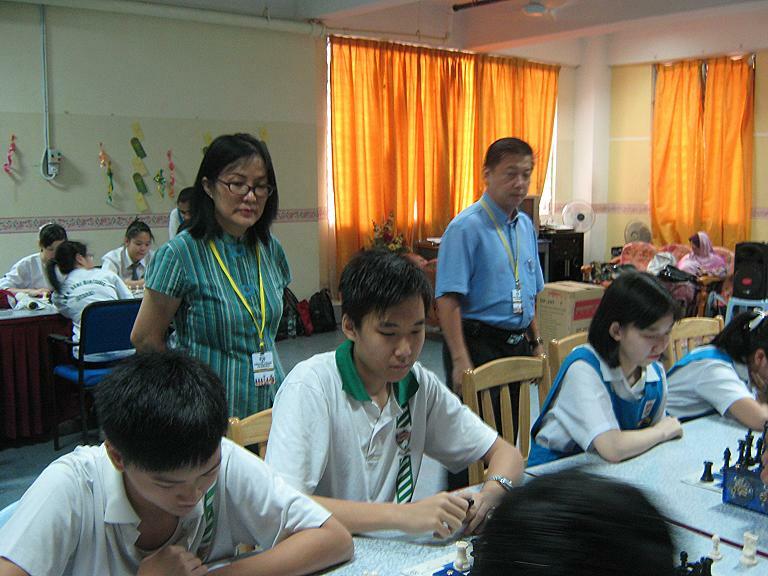 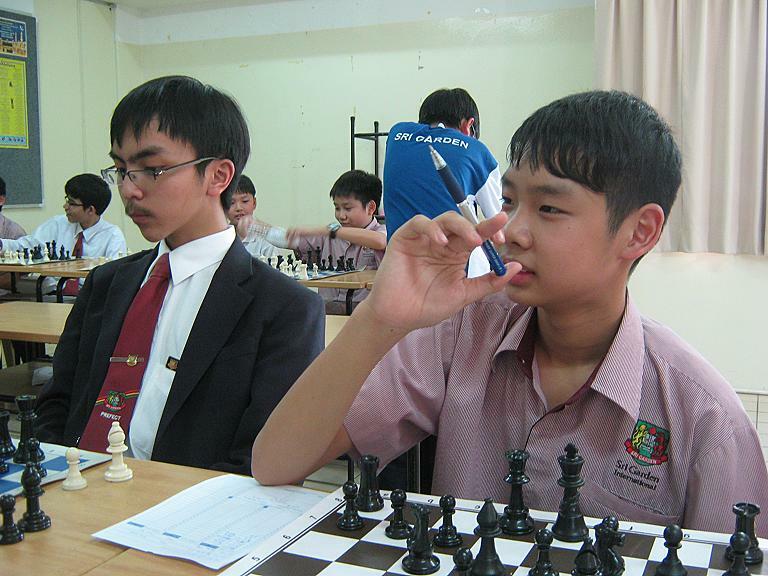 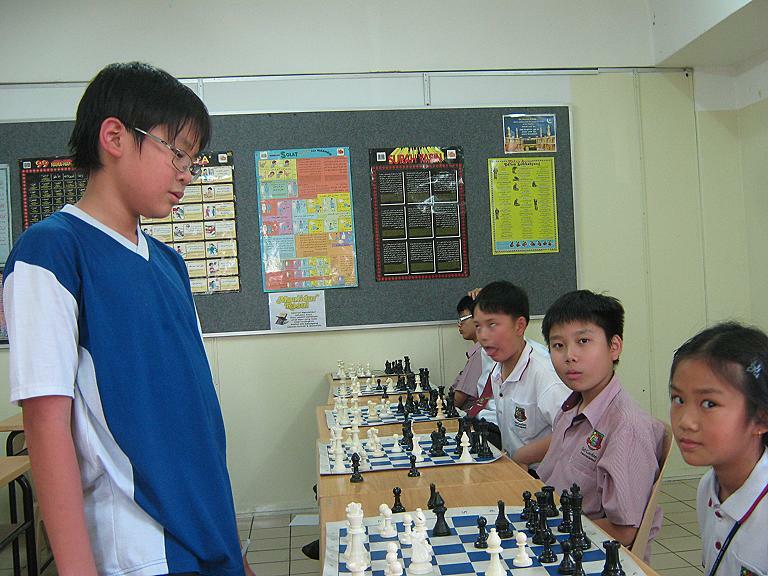 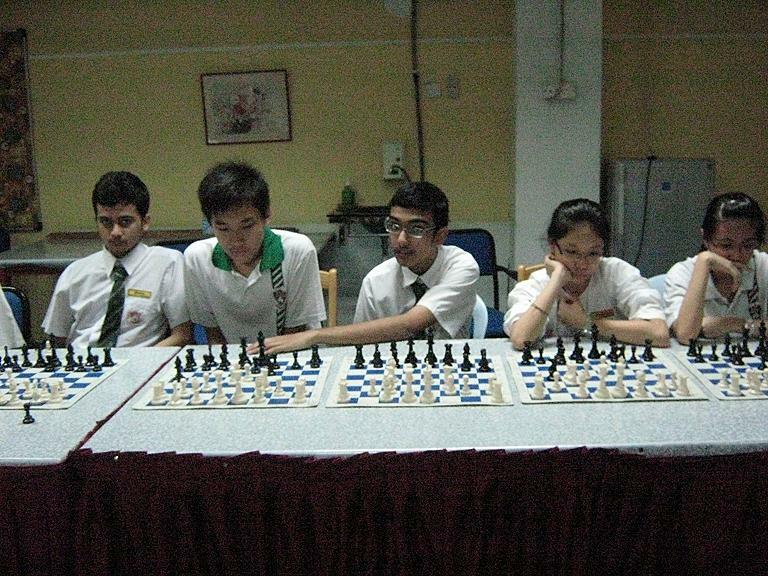 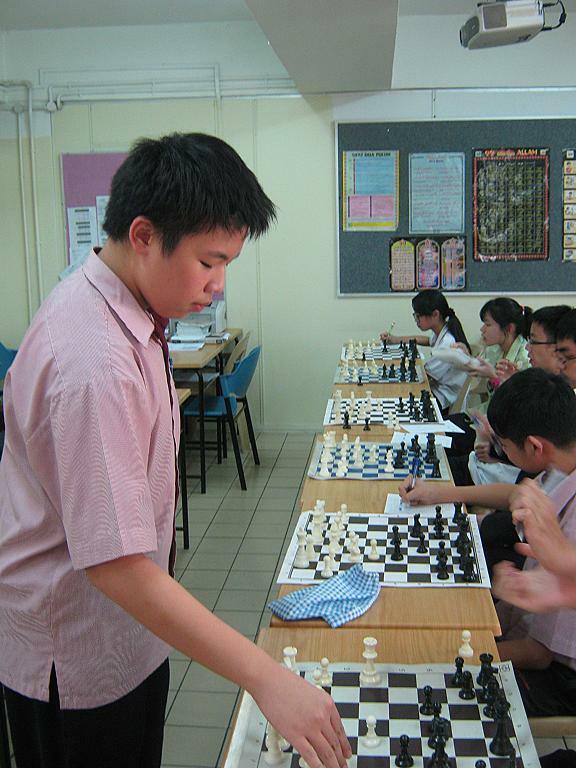 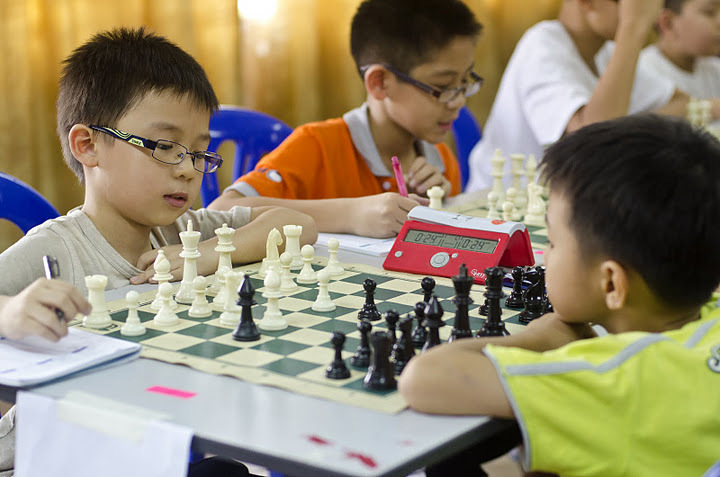 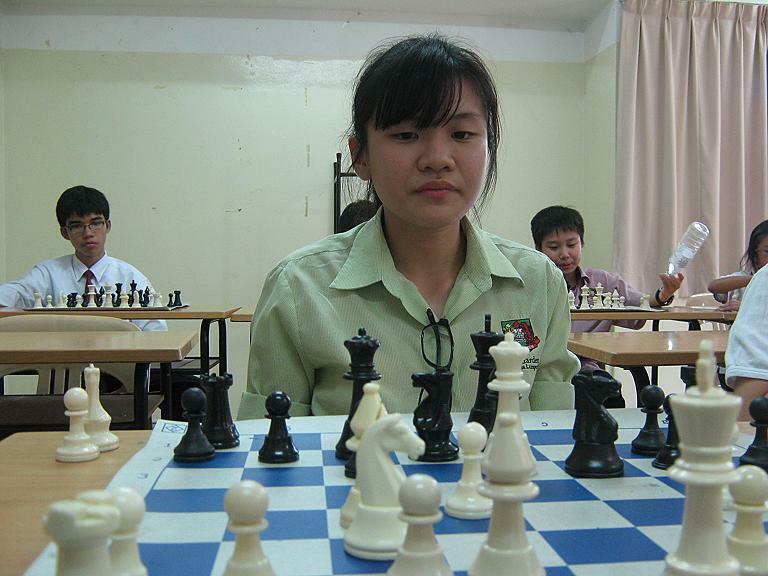 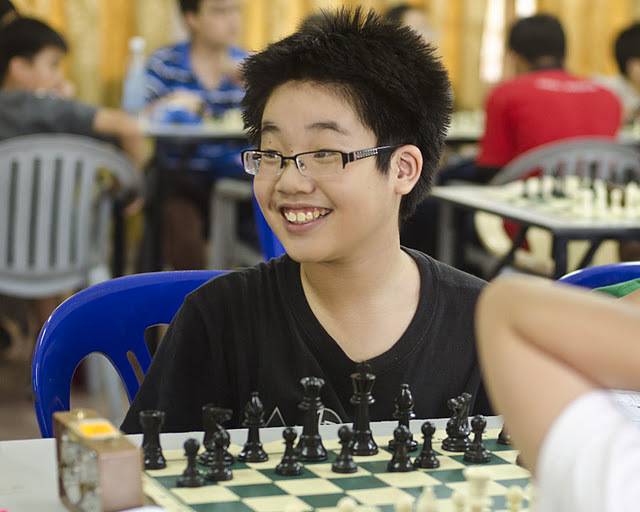 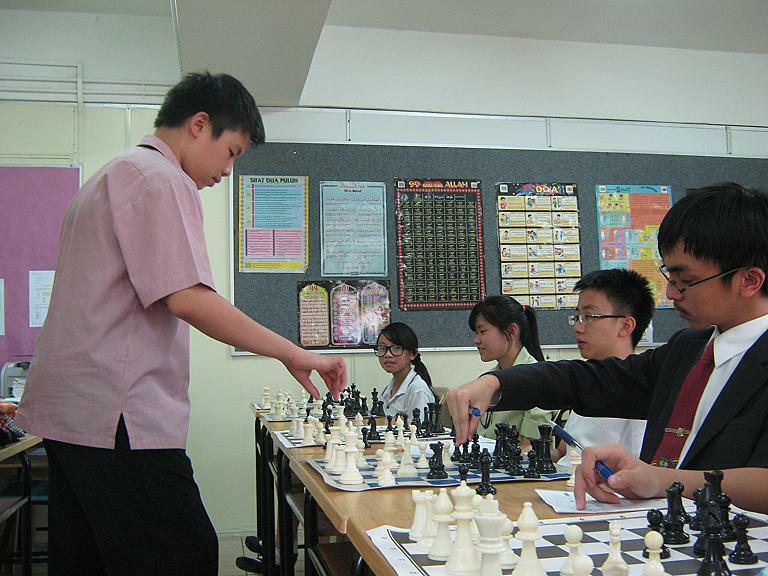 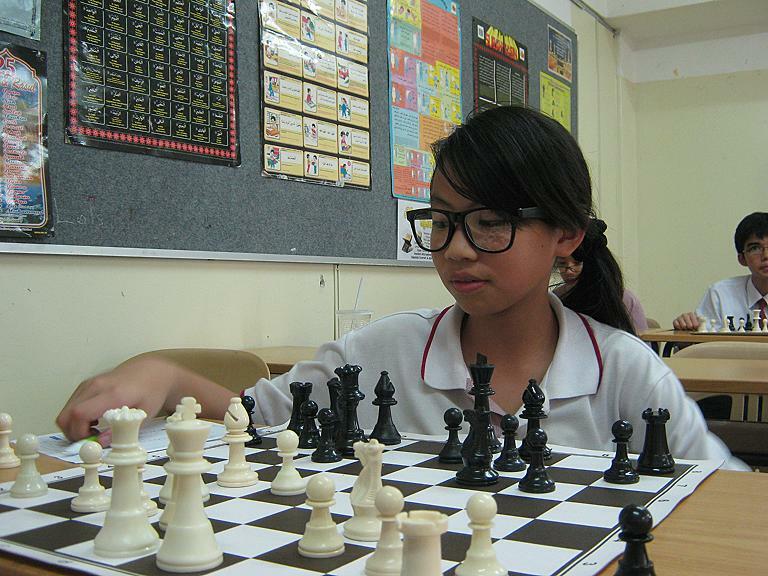 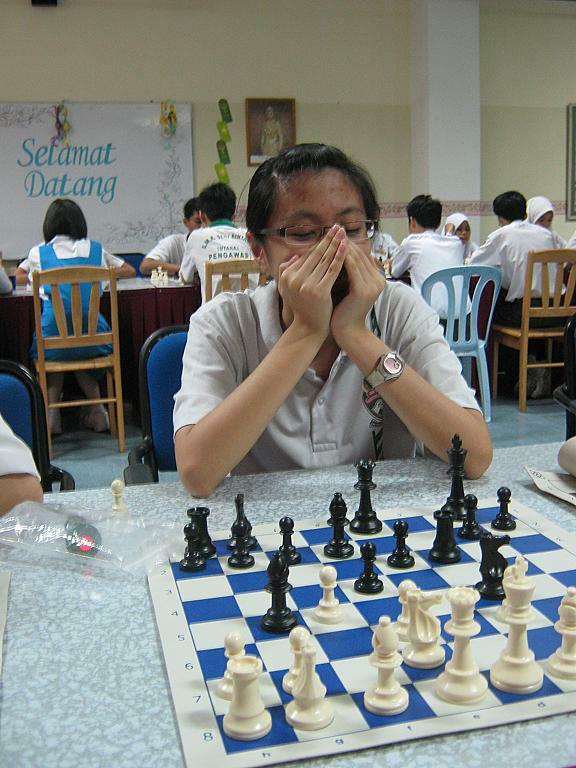 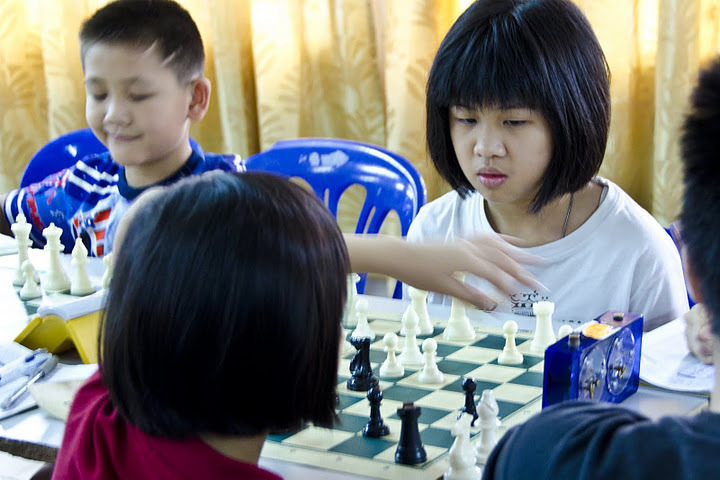 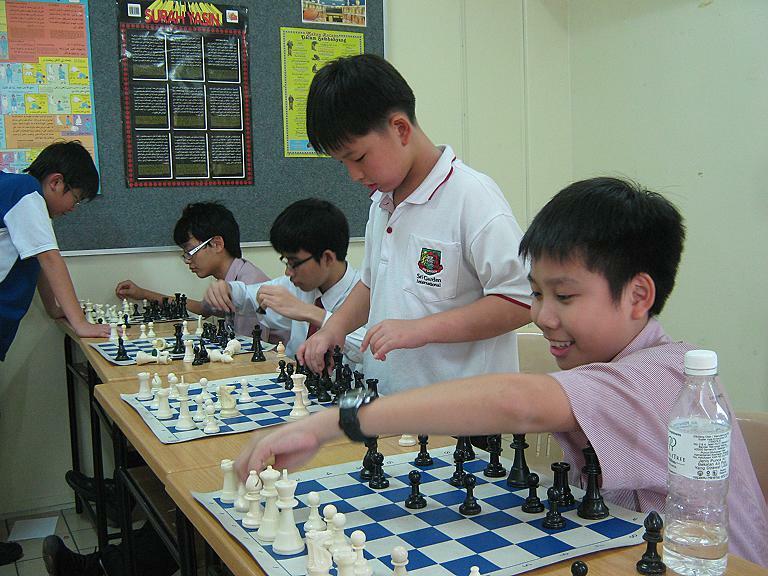 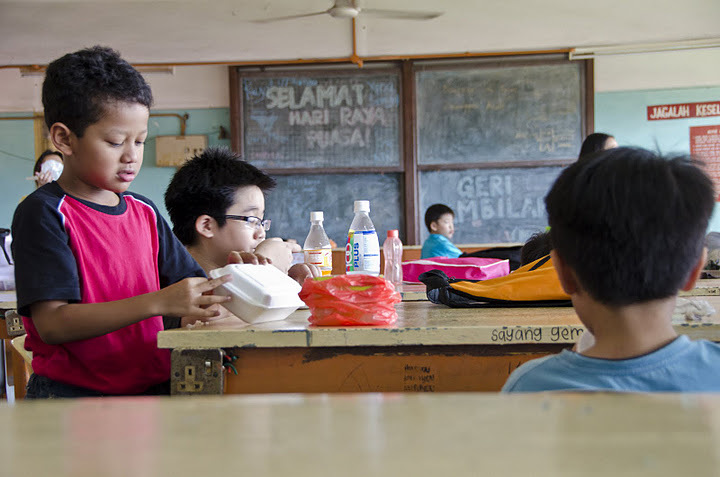 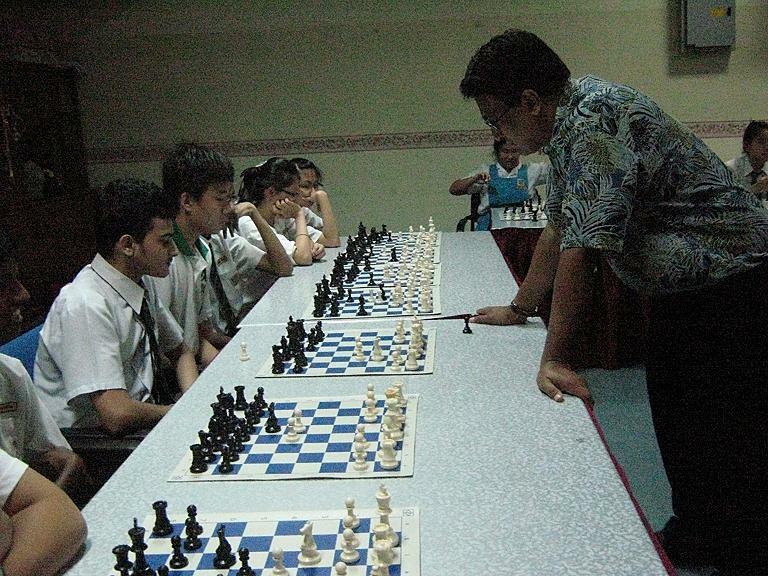 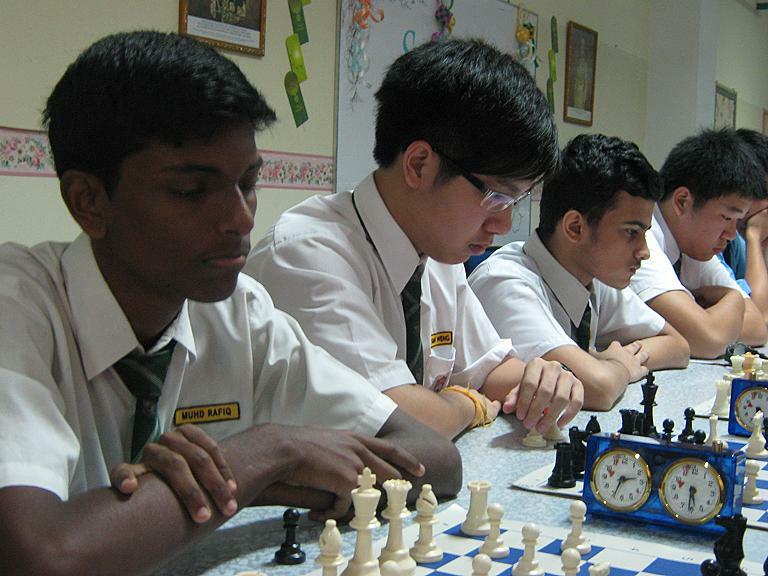 Two Junior Simultaneous Masters from Sekolah Sri Garden , Wan Lin and Wui Foong, battled against a group students from the school in October 2011. 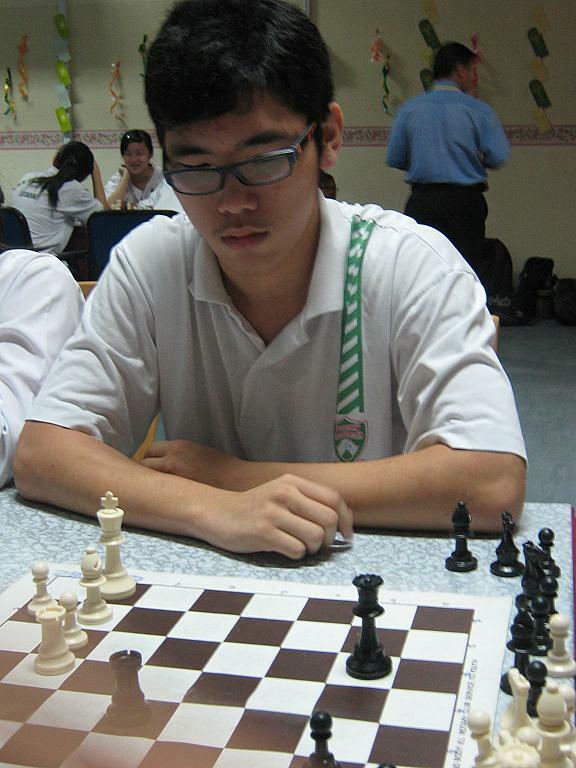 Wan Lin played a total of 11 games while Wui Foong played 9 games!! 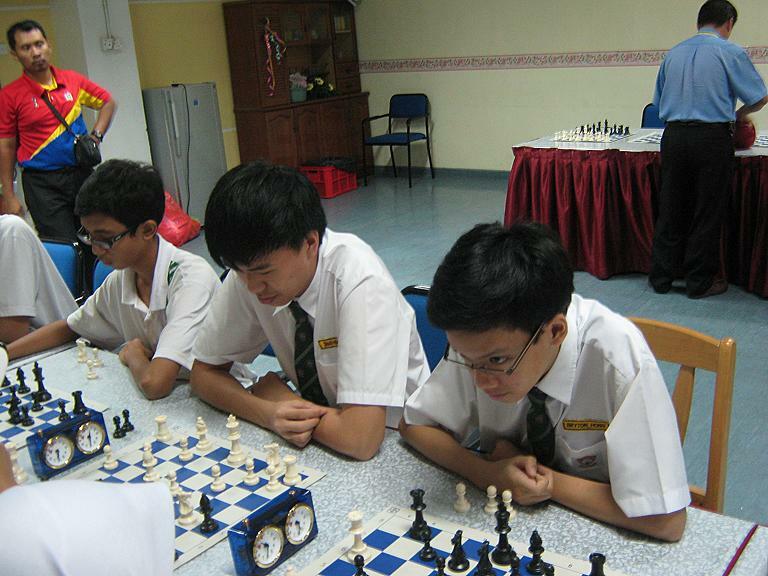 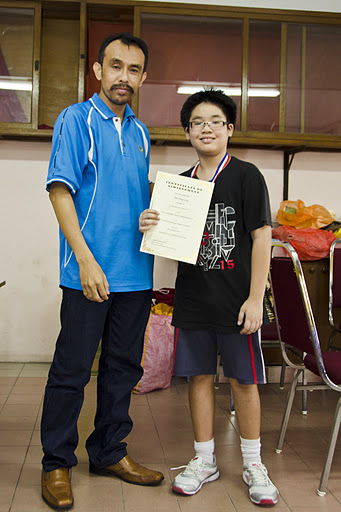 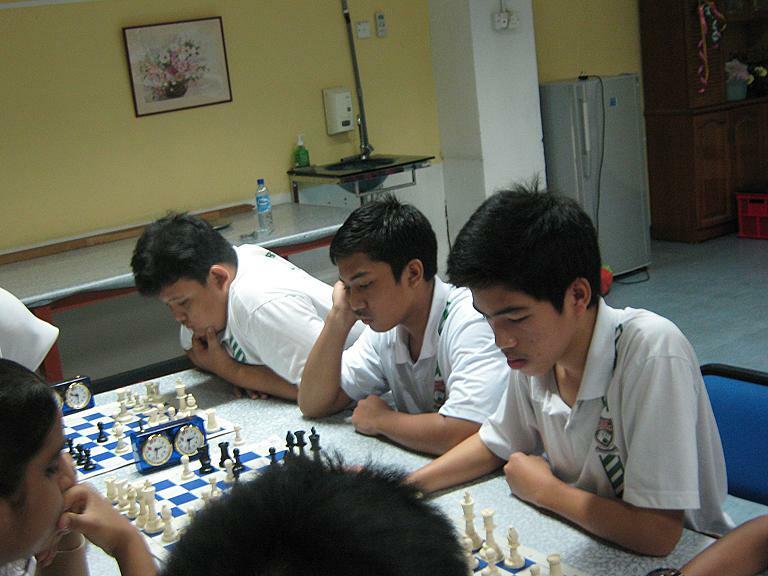 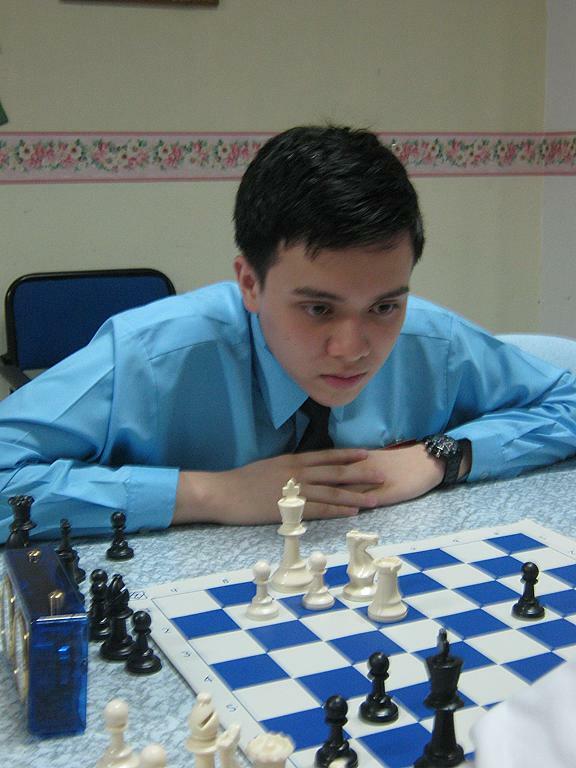 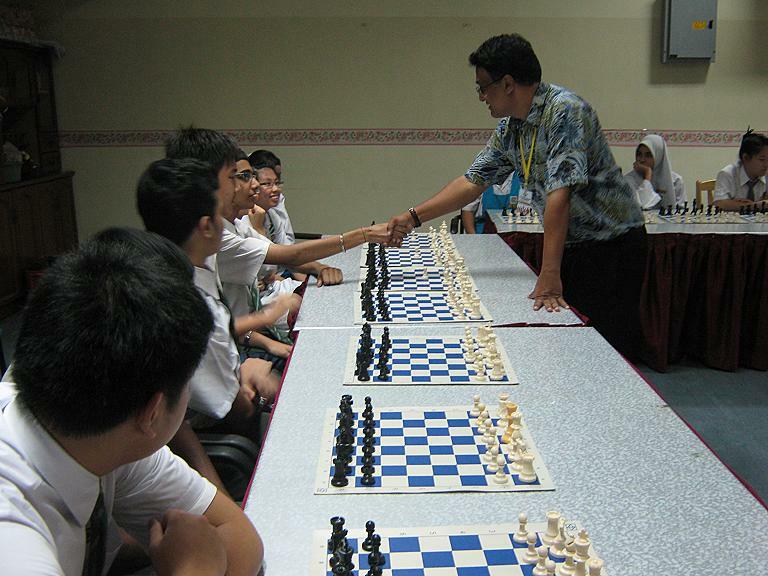 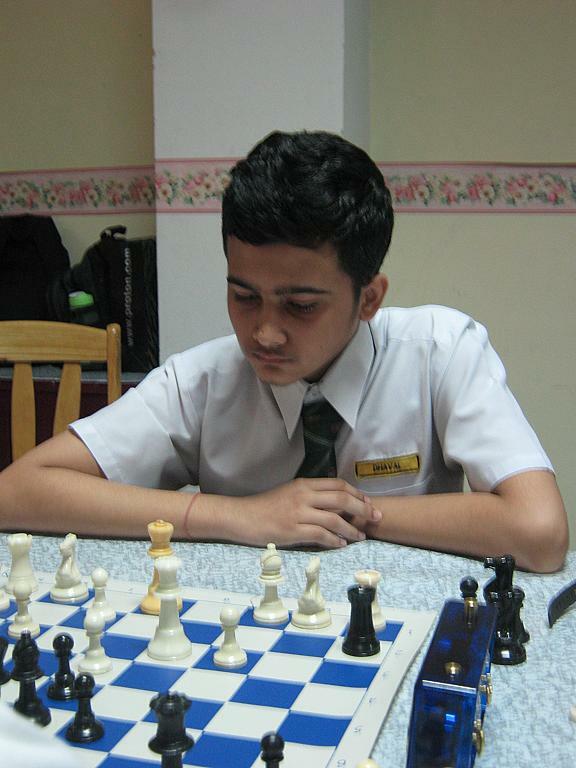 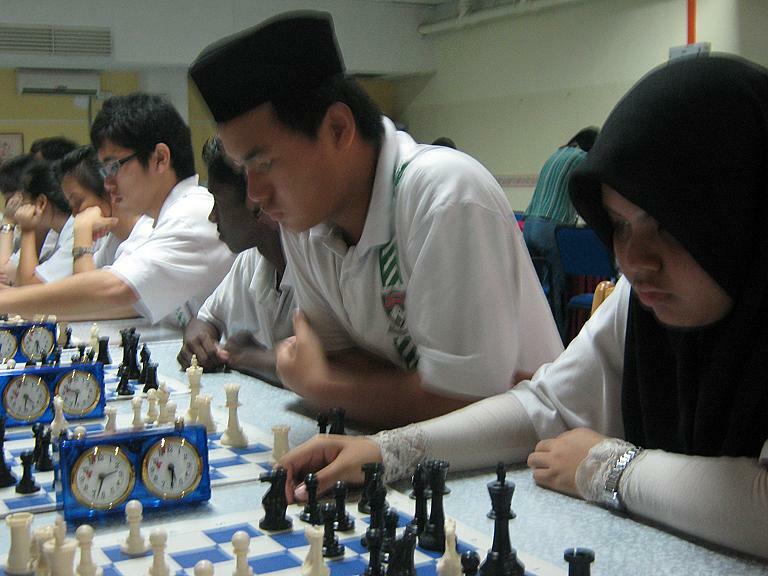 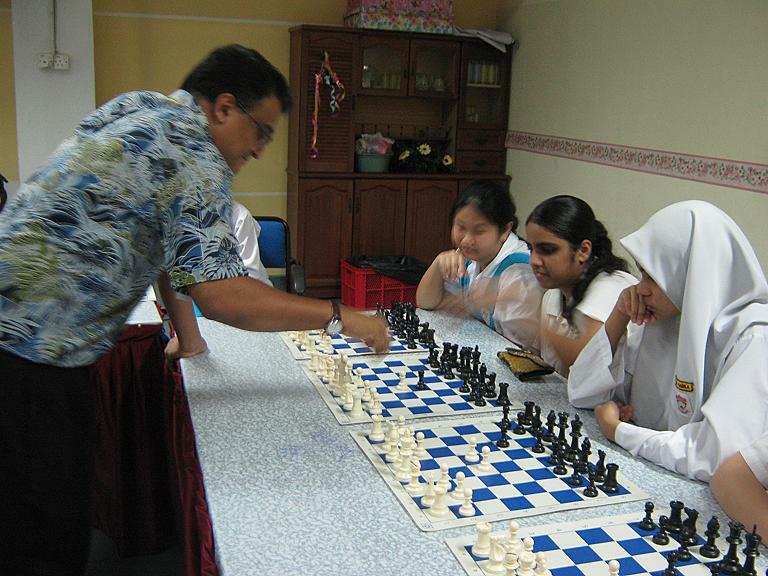 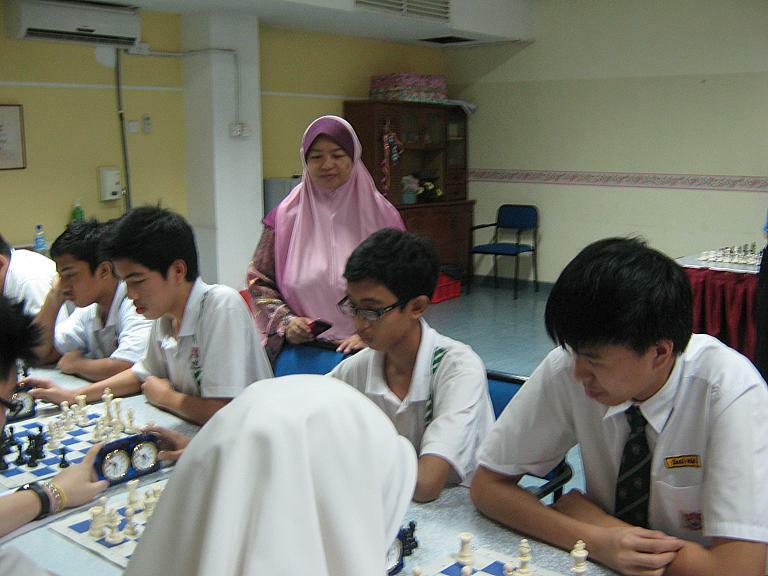 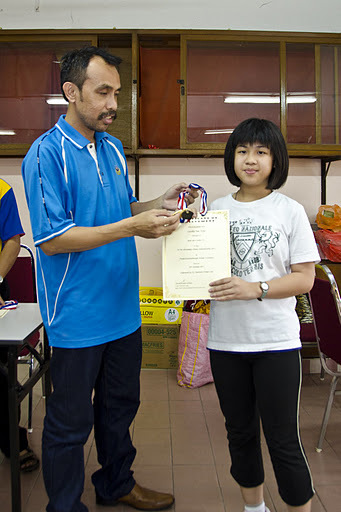 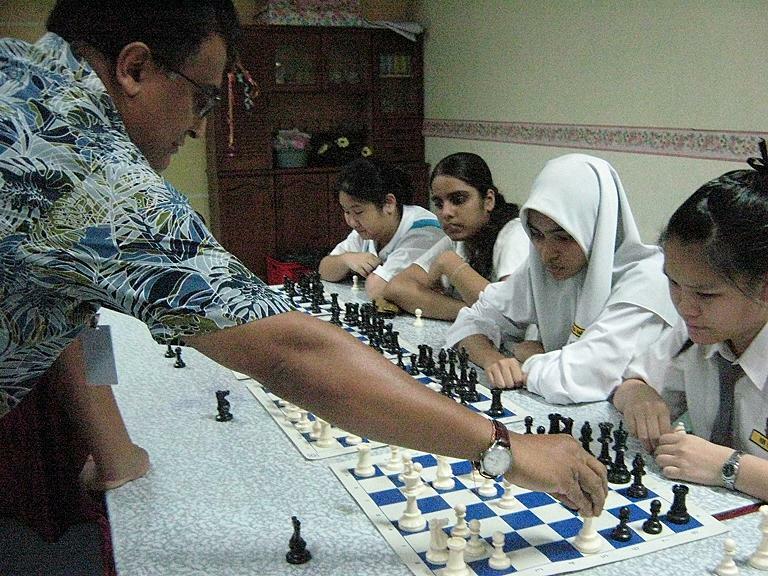 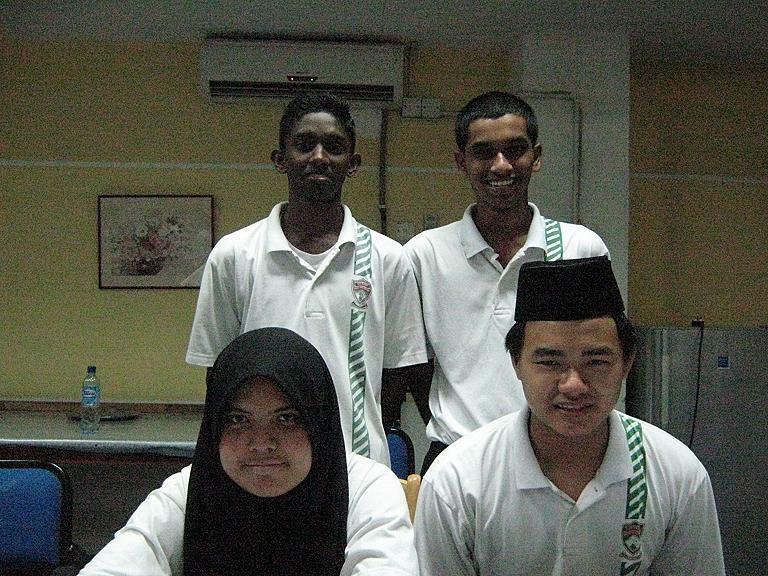 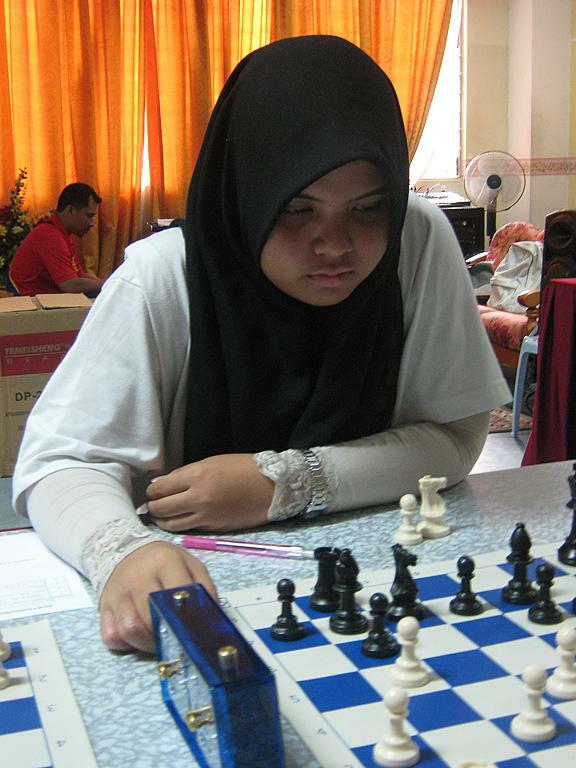 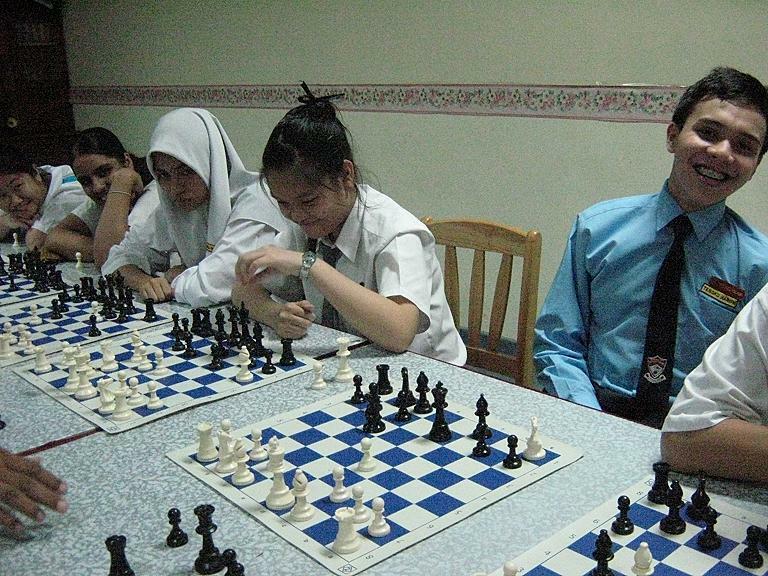 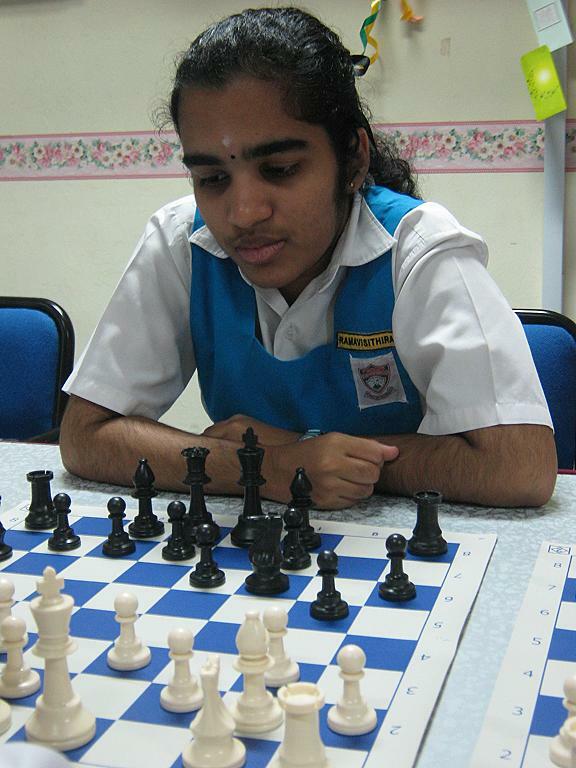 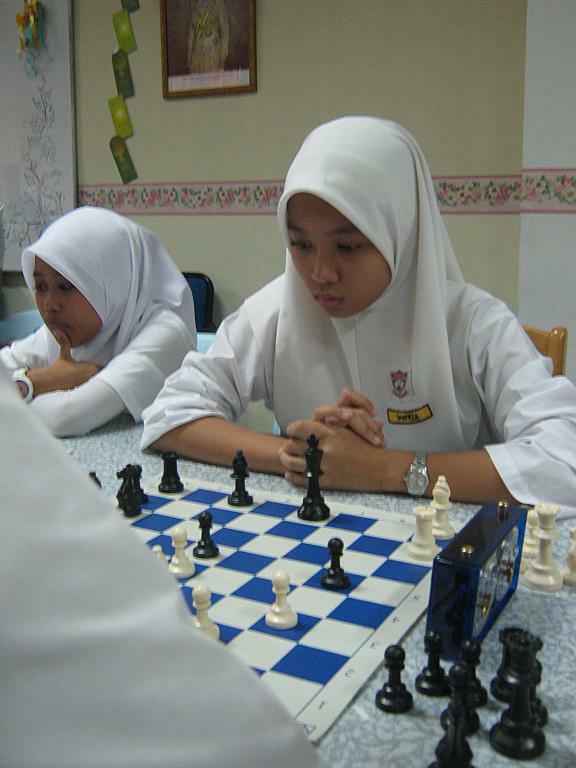 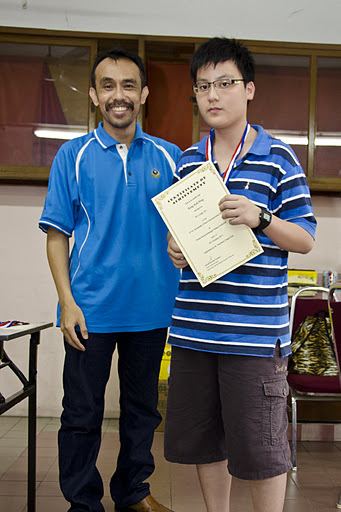 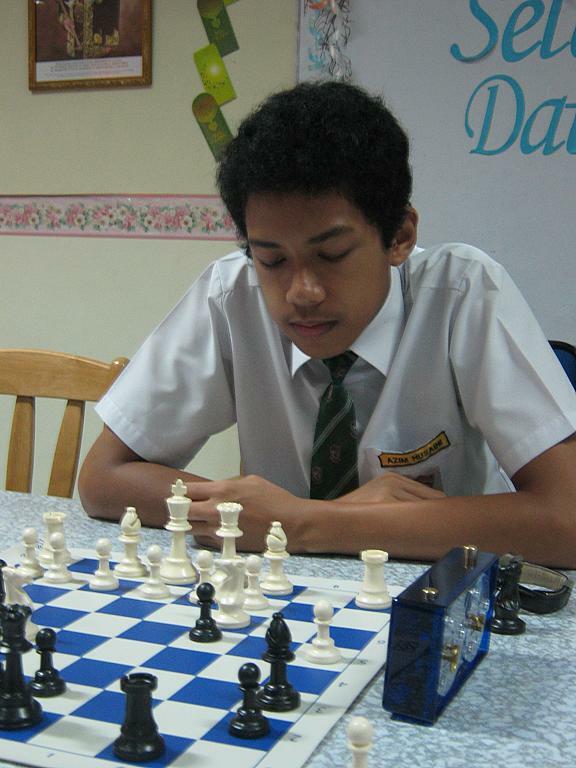 Both players will be receiving Chess Scholarships from Cheras Chess Academy to further their Chess education. 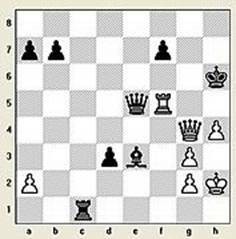 White resigned before Black could play 1..... Qxe4 2. 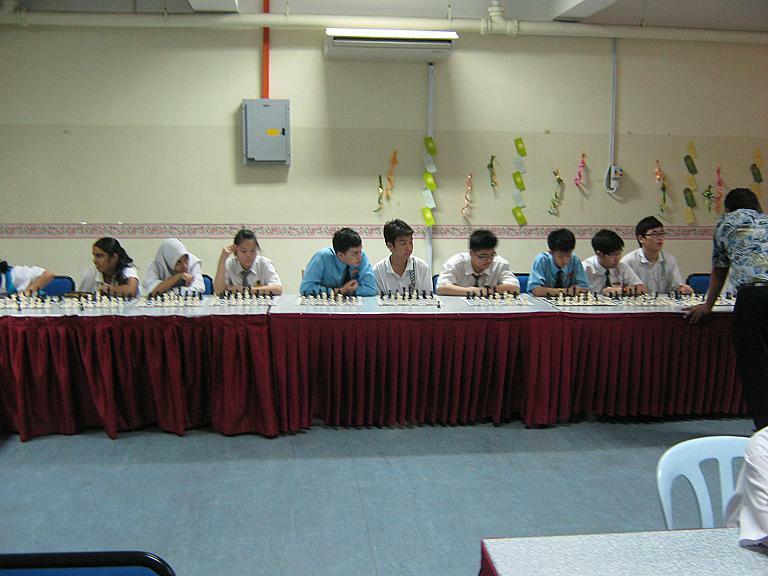 Ne4 Rd1 3. 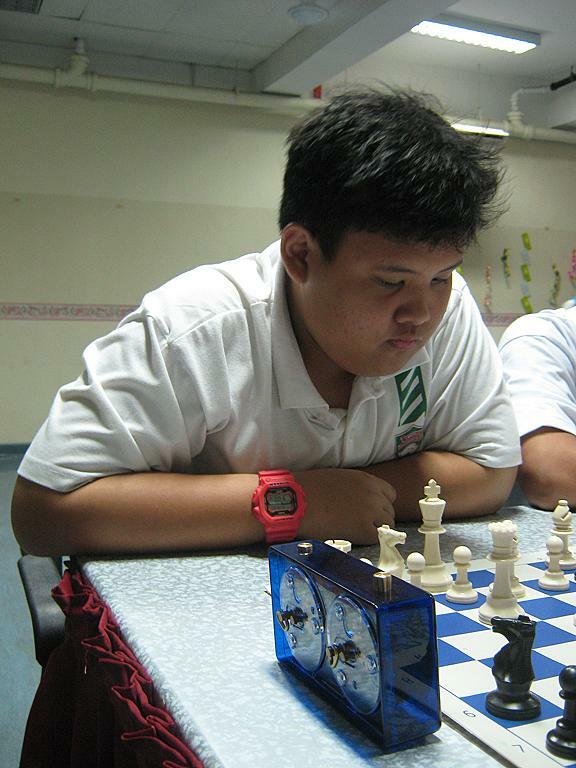 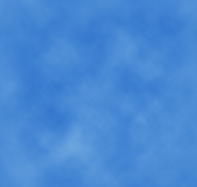 Rf1 Rxf1 mate. 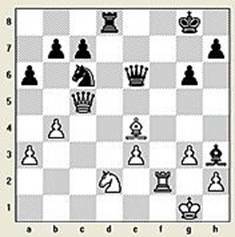 Korchnoi - Krush 2007.